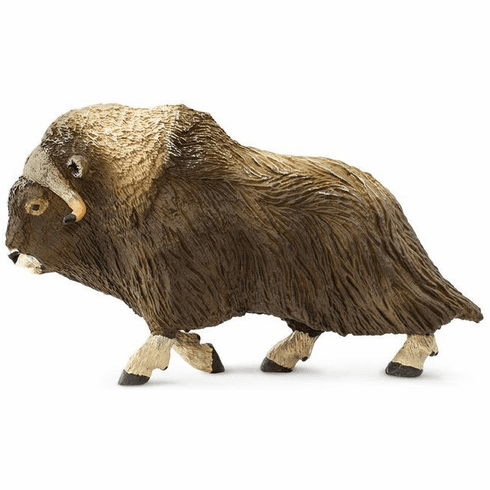 Despite its name, the muskox is more closely related to the goat family than to oxen. These shaggy beasts move through the Arctic wilderness in herds of about 20 individuals. If one animal is injured, the herd will form a protective circle around it with their horns facing outward. Approximate size in inches: 4.65 L x 1.5 W x 2.8 H.